Known as Max Eagle, he is a main draw with the SWF pro wrestling circuit. He's known for his ripped body and mighty axe. Eagle believes he sees his missing brother in the form of King Lion and joins the Beast God Battle to find the truth. What do you get when you cross Captain America with Guile? MAX EAGLE! ^o^ What's up with guy? So he's a wrestler... and fights with a magical axe that comes back to him after he throws it? Alrighty then. I feel like I'm back in the 90's again, and that's not such a bad thing I s'pose. I didn't like this design at first... but Max Eagle is so unapologetically 90's, and is such a ridiculous design, that he's actually... not too bad. lol. Definitely not the worst I've seen. 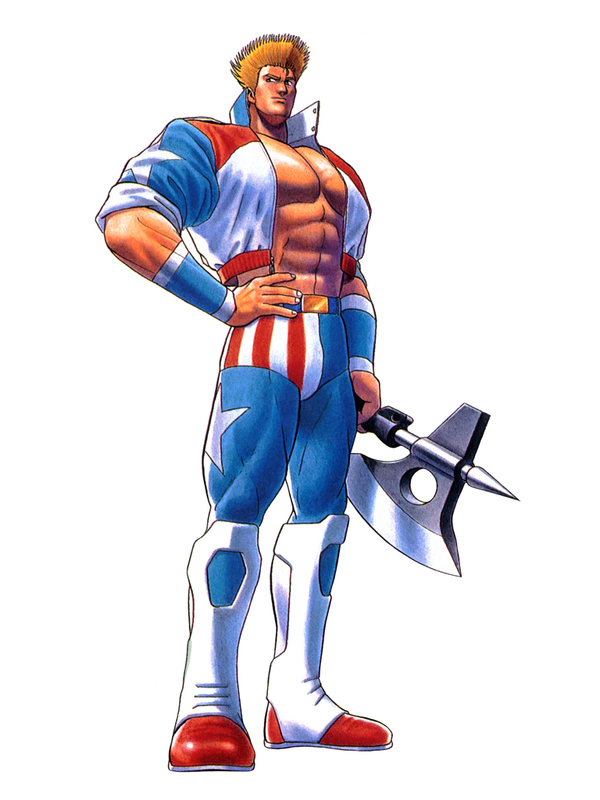 Max Eagle's American Gladiators-esk outfit is laughable, but somehow works. The fact that he seems to take himself seriously almost makes you have to respect his threads. 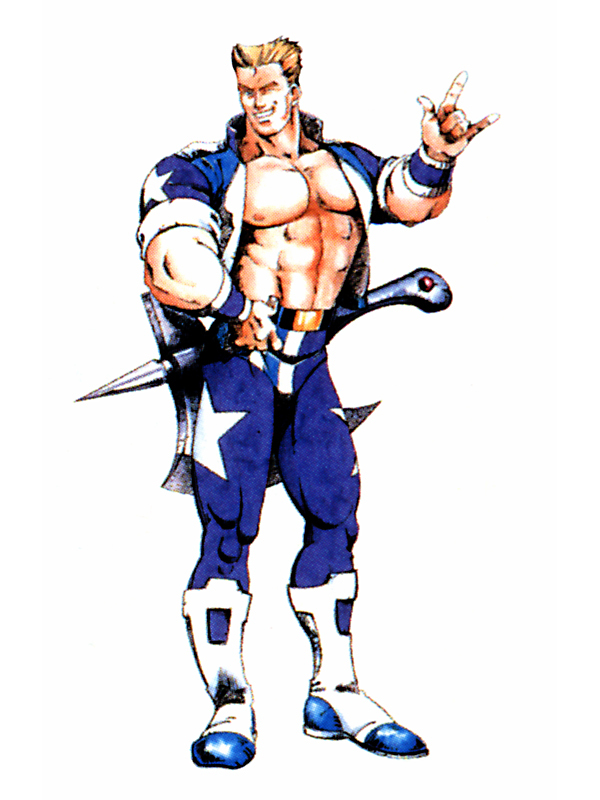 The ripoff Guile hair and the Captain America undies is still a bit much... but he's kind of a great troll character. Out of all the Savage Reign / Kizuna Encounter characters, he might be one of the better ones. lol.